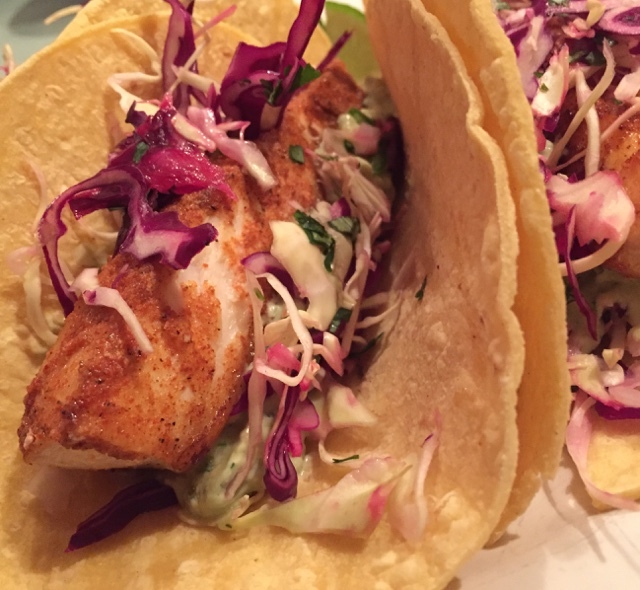 So that brings me to tonight’s dinner, Blackened Mahi Mahi Tacos with Avocado Lime Sauce. I took a huge risk with making these, as Craig is not one to like new things….so how do you do introduce such a dinner? You just dodn’t tell him what we were having, until it was in front of him. 1. 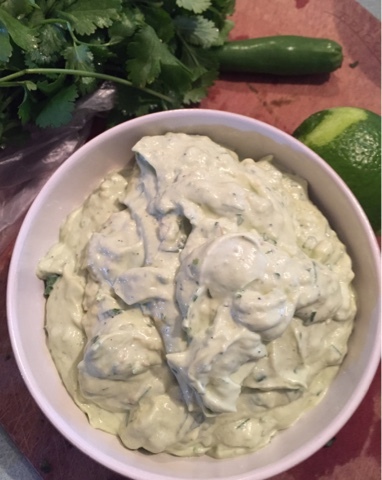 Combine sour cream, avocado, cilantro, lime juice, lime zest and Serrano pepper in a blender; process until smooth. Transfer to a small bowl and refrigerate. 2. Combine paprika, brown sugar, garlic powder, onion powder, salt, cumin and chili pepper in a small bowl. 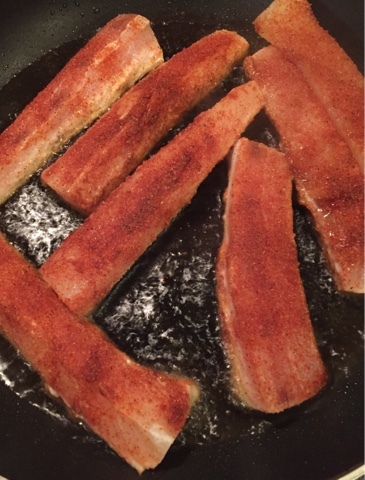 Sprinkle seasoning evenly over both sides of the fish filets. 3. Heat oil in a large cast-iron skillet or sauté pan over medium-high heat. 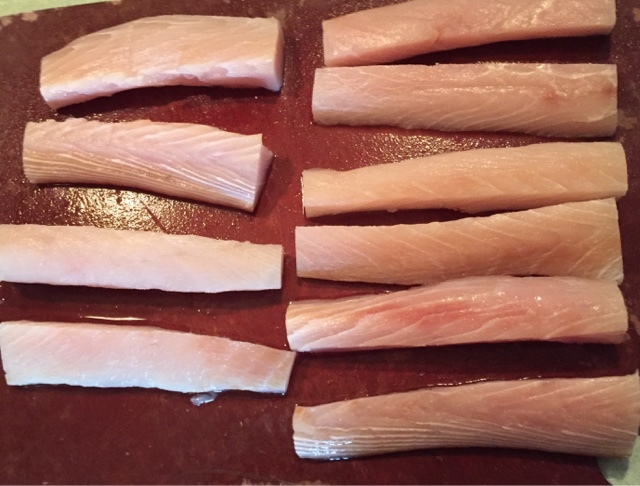 Add fish to pan; cook 2-3 minutes on each side or until desired degree of doneness. 4. Warm tortillas according to package directions. 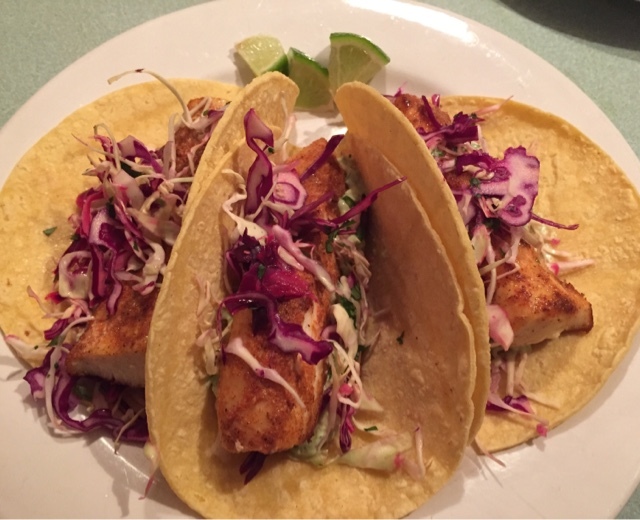 Divide fish evenly among tortillas. 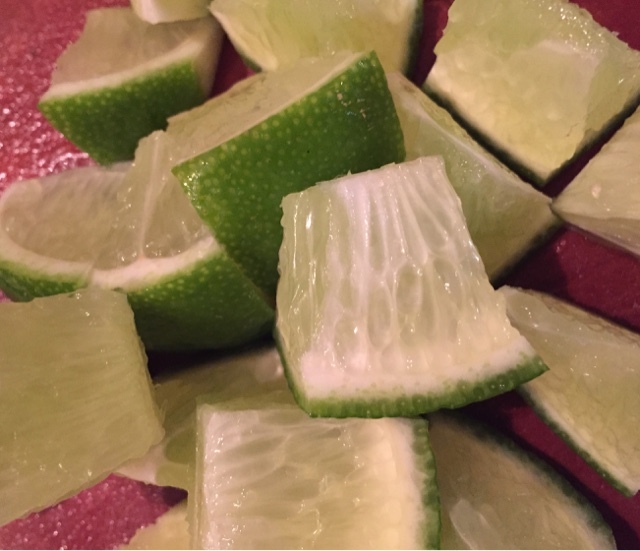 Serve with lime wedges, tomatoes, cabbage, and cilantro.